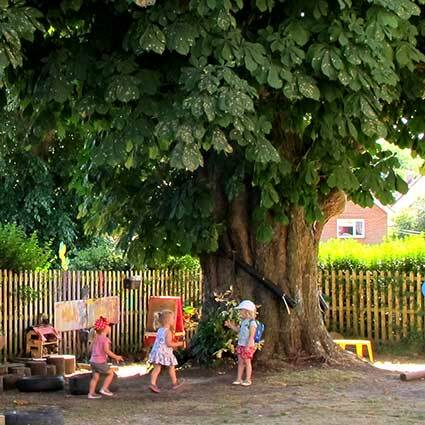 Welcome to Conkers, the nursery that always puts children and families first. 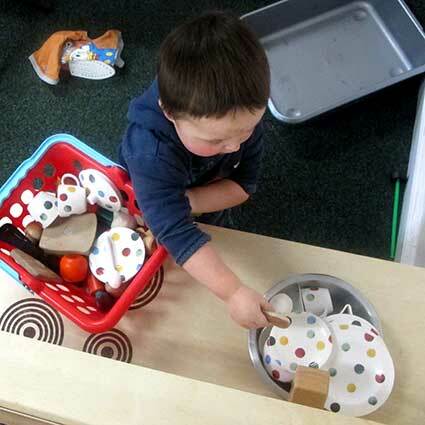 Our own nursery, run by The Balsam Centre's Early Years staff, is a natural progression from the high quality Children Centre services we provided at The Balsam Centre. Conkers has been running since 2015 and provides a full-time service that children can access daily, or as required. Ofsted have awarded us a "Good" rating in our recent inspection; you can see the full report here. 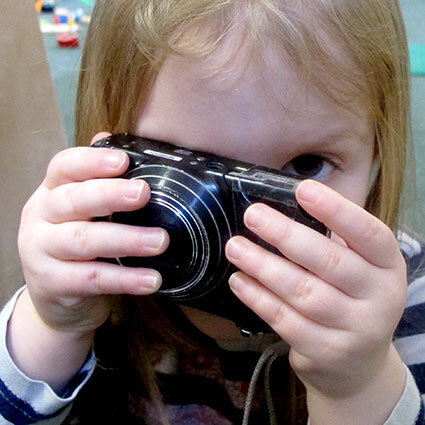 We are able to offer flexible childcare for 51 weeks of the year, with funded places for 3 to 4 year olds and eligible 2 year olds. We also offer places for babies from 3 months. 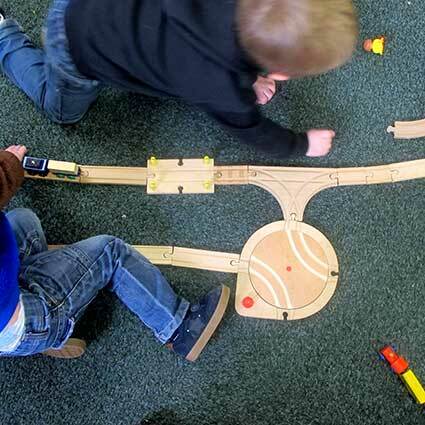 Based on the lower floor of Churchfields, the District Council Offices, we have sole use of a large nursery room which has free flow access to the secure outdoor play area. To gain access to the nursery there is an audio entry system and as an additional security measure when children are outside, a member of staff will greet you at the gate. 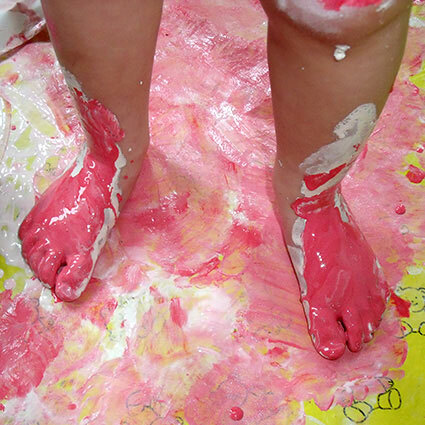 Young children come to activities with a fresh perspective, without the expectations that we have as adults. 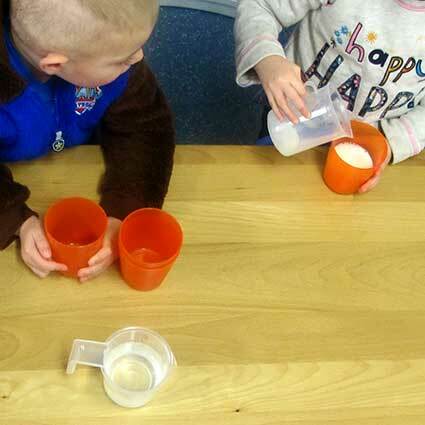 At Conkers, we encourage the "scientist" within every child by using the "OWL" (Observe, Wait, Listen) technique when children approach an optional activity. 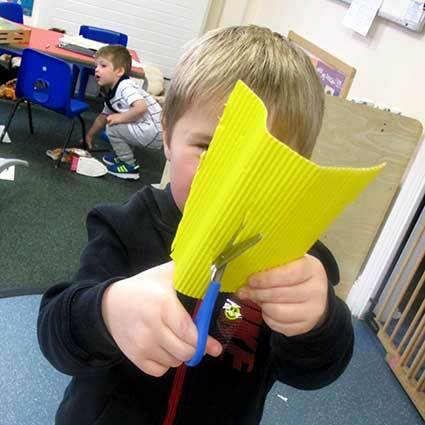 We have found that, given time to explore the materials, children usually discover different and much more imaginative and exciting ways to use them than we might have thought of when we set an activity up. They become more involved, concentrate for extended periods of time and consequently learn more, at a deeper level. Our staff are very skilful at judging when a child might need a little support to complete what they set out to do (before frustration sets in! ), but also knowing when it would not be appropriate to interrupt their train of thought. We don't instruct them how to approach an activity unless necessary (for example, how to operate scissors or use a hammer), but model possibilities and a positive approach to persevering when a problem arises. So, when your child brings a painting, model, card or gift home for you, it will be their OWN work and unique! 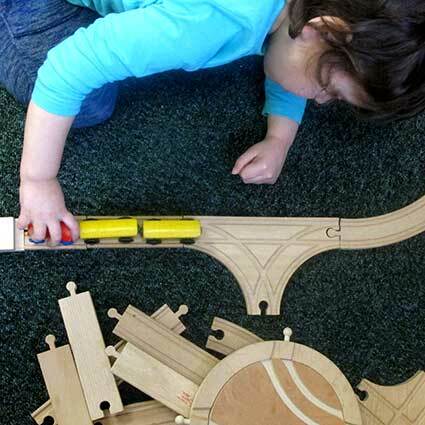 We don't use templates or have an expectation that there will be a product every time a child tries the activities available at the creative table, for example. Sometimes it's more important to focus on the process. So, what has this got to do with the Early Years Foundation Stage? 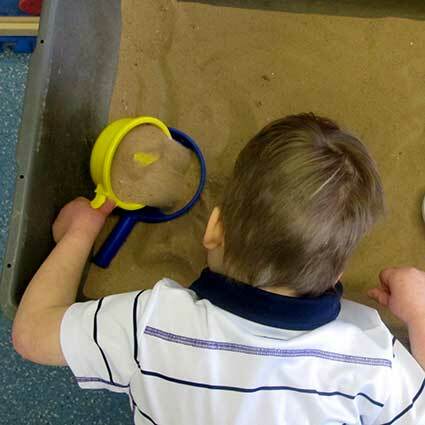 From 0-3, the EYFS is very focused on the development of skills which, whatever a child's culture, are considered crucial in the years before the age of 5, if a child is going to meet the later demands of the school curriculum. These are: Personal, Social and Emotional Development, Communication and Language, and Physical Development. 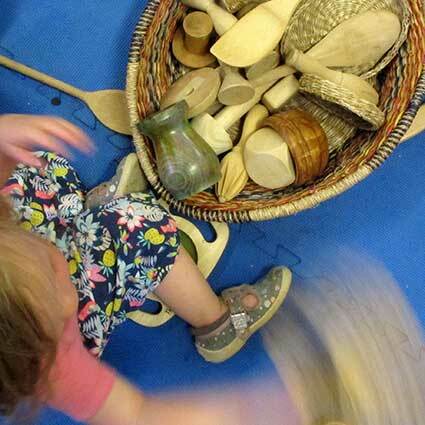 All the activities we offer at Conkers are planned using the EYFS Development Matters statements. 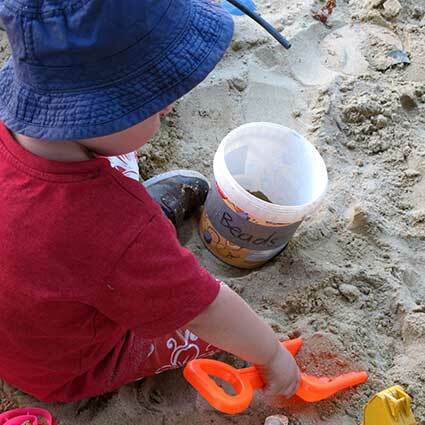 Our observations and other records that we keep to build a full profile of your child's development reflect this. We do, of course, provide opportunities for learning in specific areas of learning - reading, writing and mathematics - for example, and track their progress. Did you know that all babies and young children are superb scientists? These are life skills really: curiosity, willingness to have a go at something new, getting involved and concentrating, having the confidence to keep trying even when it gets tricky, or choosing a different way of doing something, even setting up your own challenges and recognising your own achievements. Every child who develops each of these characteristics builds the resilience to overcome the challenges of everyday living and succeed in what they choose to do. 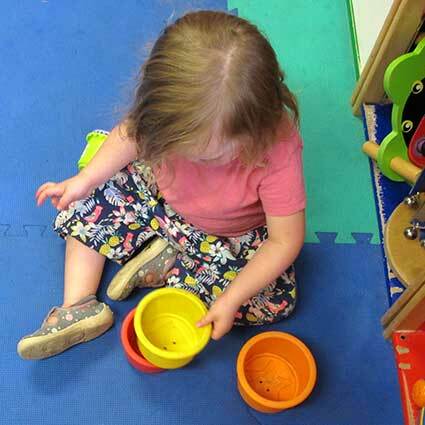 As our name, The Balsam Centre's Community Nursery, suggests, we are based in the community, for the community. Strong relationships are key to a child's development, so we actively encourage family involvement. 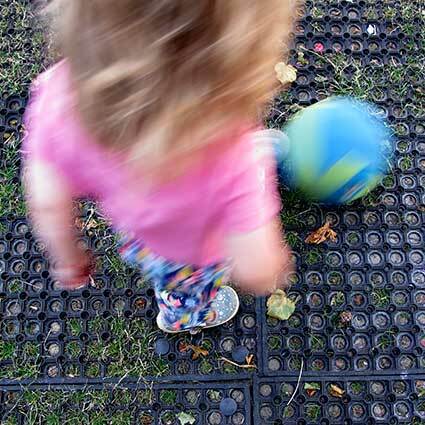 When your child joins us we rely on your knowledge and expertise about your child to ensure that we provide some familiar activities, to help with the settling in process. We know information is a two-way street and are always interested to hear about precious moments at home, so please tell us about them. You can do this in person, by text or email or by writing it on a post it note, which are always available. Our younger children have a communication book to record feeds, nappy changes, sleep and other daily information. 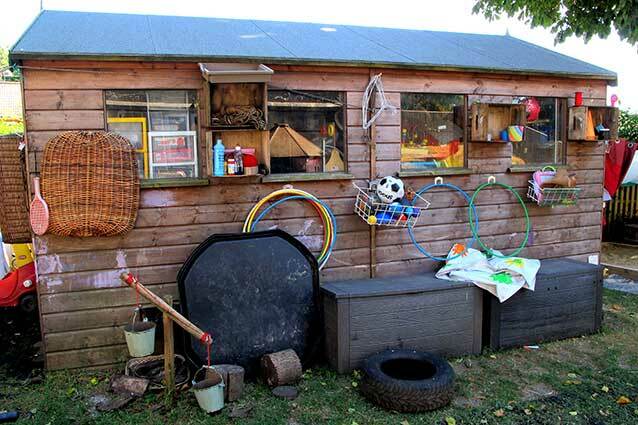 If a child is showing a particular interest at home or has enjoyed an outing we can always add something to our provision which will keep the interest going or add to learning in a different area. We also offer opportunities for parents to play and learn alongside their children, as well as occasional social events for families. As every child is unique, we have a flexible settling in period. Some children settle very quickly and others take a little longer, so we tailor it to meet your needs. Once settled each child will be allocated a Key Person. 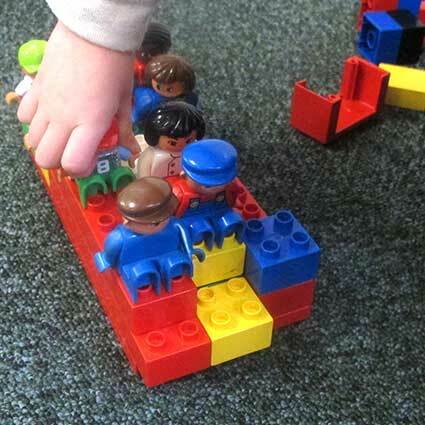 We wait until children have settled in before allocating a permanent Key Person to see if they build a bond with a particular member of staff. Like all parents of children starting nursery school, you will have plenty of questions about how your child will be nurtured here. How will your child be supported? How can you find out how your child is doing? 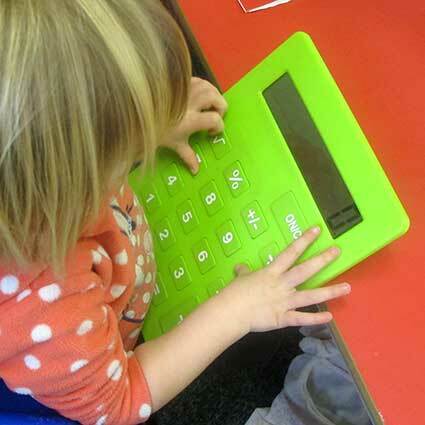 How do we help you to support your child's learning? Of course, you are free to come and talk to us - just call us to make an appointment 01963 31882, but this pdf download may help to answer some of your questions. We like to celebrate children's achievements and share them with you, so we have parents' meetings twice a year as well as daily "handover" contact with your child's Key Person. We are required to keep formal records of every child's achievements in the EYFS, which follow the child to school and remain with them until the end of the first year. Please feel free to come and see your child's Learning Journey. Come along and join the fun! Contact us to find out more. If you have any questions, whether it's about EYFS or how you can register your child, contact us and talk to a member of staff. (If you are unable to reach us on the phone, call The Balsam Centre). We are open from 8am to 5.30pm Mondays to Fridays. (The office at the Balsam Centre is open from 9am to 5pm). We close for the period between Christmas and New Year and Bank Holidays. In addition, the nursery is closed for five inset days, which we plan to coincide (as far as possible) with other local providers' training days. We give at least one month's notice and our aim is to provide the five dates for the school year in September. Recommended start times are 8am, 9am and 1pm but we are flexible so please come and talk to us. Fees are payable monthly in advance. Arrangements can be made for weekly payment in advance. Please see our Fees Policy. We do not charge for the period between Christmas and New Year, Bank Holidays or staff training days. Children attending on a year round contract may take 2 full weeks as holiday during the year at a 50% discount. These must be taken as a full week (child's usual attendance hours) and a month's notice is required. Parents need to provide their own nappies, wipes, and suncream. Click on any of the following to open the document in a new tab. Other policy documents are available to read through at the nursery.